"All of that chit chats gonna get you hurt." I am a huge movie fan and since being a child I absolutely loved the old school Michael Keaton Batman films. 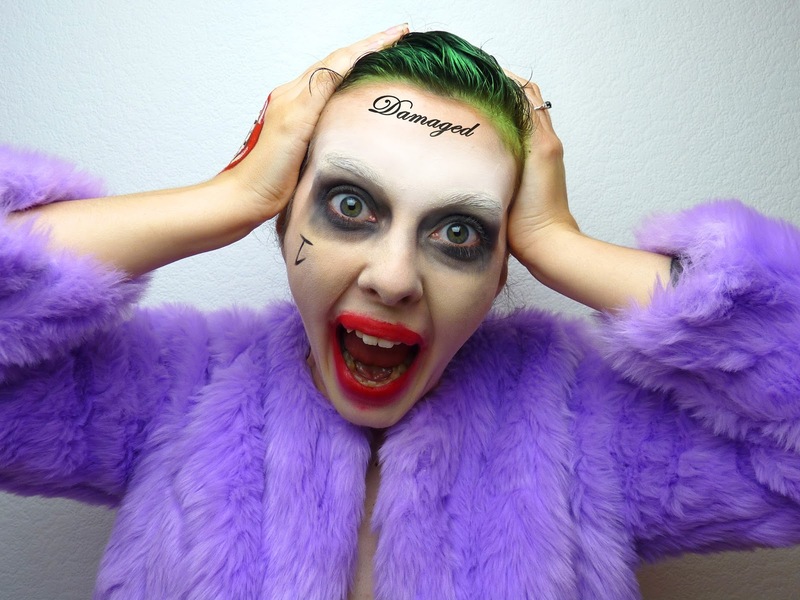 The joker, Cat Woman, Penguin, even The Riddler! I love those old films so when later they brought out three more with Christian Bale I had never been more obsessed with a trilogy. One of my favourite characters is the joker, going through Jack Nicolson with his acid spray gun, to Heath Ledger in his nurses outfit. 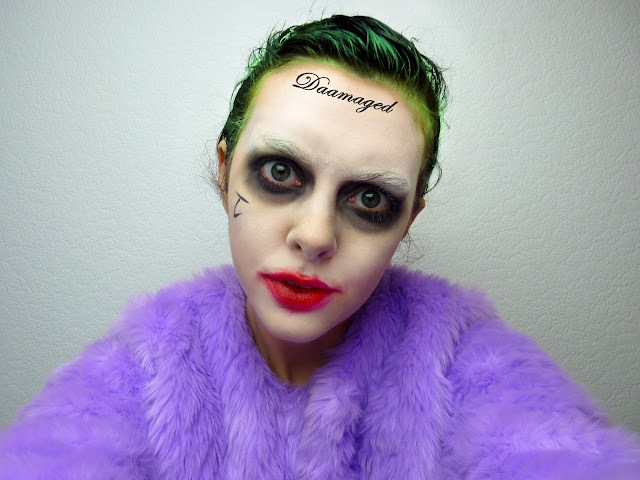 In the new suicide squad Mr J was played by Jared Leto who personally I thought did a cracking job, so of course this Halloween I had to dress up like the man himself! I was going to take an old school approach to this look and tackle the Jack Nicolson Joker, but Jared Leto won over my heart so I went for the more recent suicide squad look. Mr J is definitely my puddin'! I think this is such a simple look, if I still had green hair it would of come over more naturally! Unlike my other Halloween looks I wanted the white face paint to look quite roof, so I tried my hardest to clump up the layers of makeup. 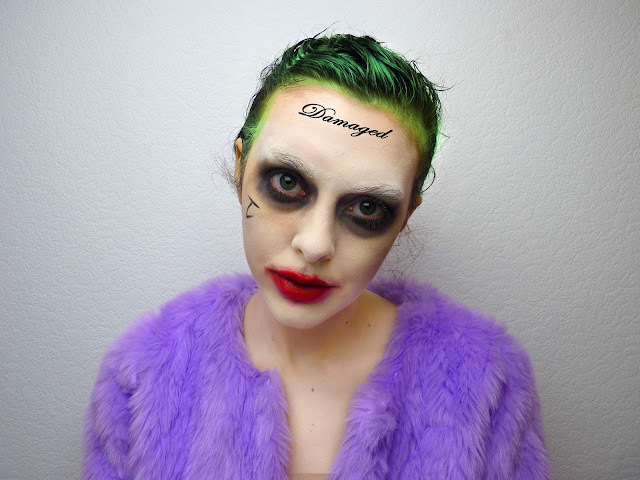 I painted down my eyebrows the best I could and blacked out my eyes, which looks so creepy. 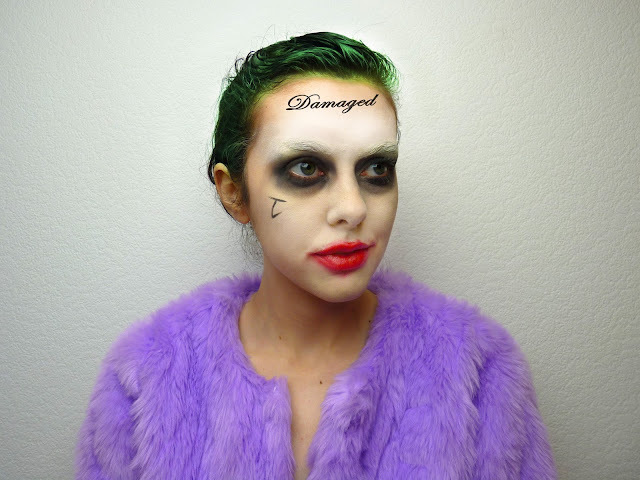 I added red lipstick and of course smeared it a little - just to make myself look more demented. 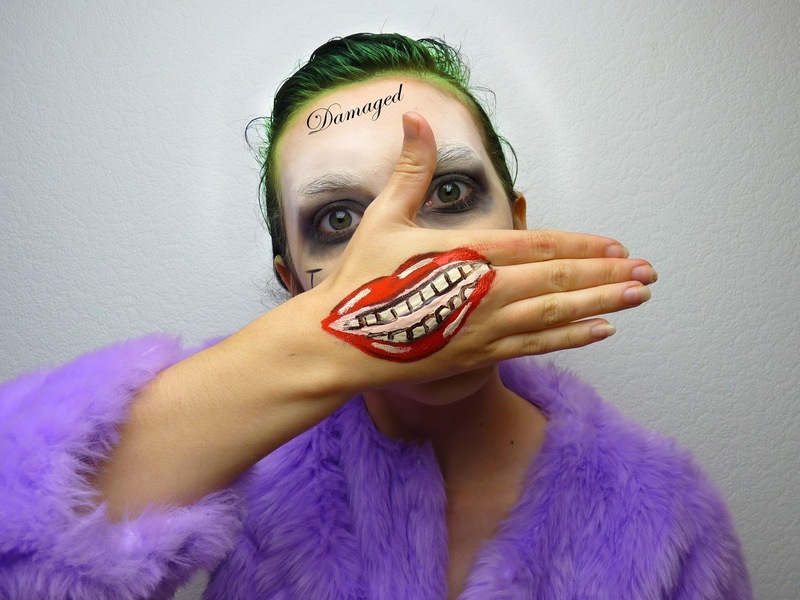 Fake face tattoos, green temporary hair die and there we have it - a Mr J inspired makeup look for Halloween.